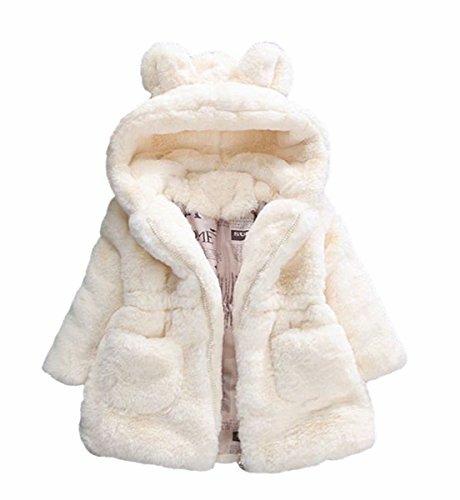 1.Condition: 100% Brand New;2.Super soft,it is very easy and comfortable to wear;3.Made of high quality material, comfortable coat for your baby;4.Package Included: 1pcs x coat;5.Size Detail:Size------------Length---------------Sleeve---------------Bust90------------43cm/16.9"------------28cm/11"------------60cm/23.6";100-----------46cm/18.1"------------30cm/11.8"----------62cm/24.4";110-----------49cm/19.3"------------33cm/12.9"----------64cm/25.2";120-----------53cm/20.8"------------35cm/13.7"----------68cm/26.7";130-----------56cm/22"--------------38cm/14.9"----------70cm/27.5";140-----------59cm/23.2"------------41cm/16.1"----------74cm/29.1"
It is time to update her wardrobe with our go-to sweater outfits this season. Your lovely girls deserve to have. This season's designs come in trendy silhouettes, perfect lengths and princess styles. 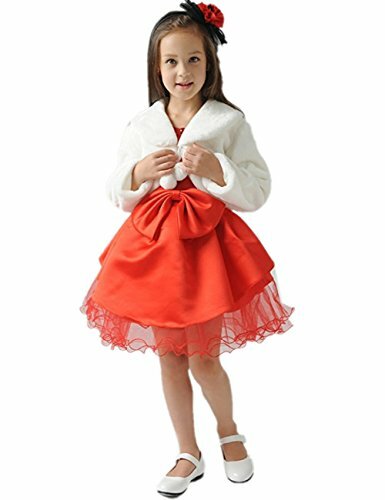 Size Details: 3-4 Years:Bust:25.2".Shoulder:12.6".Length:22.44". 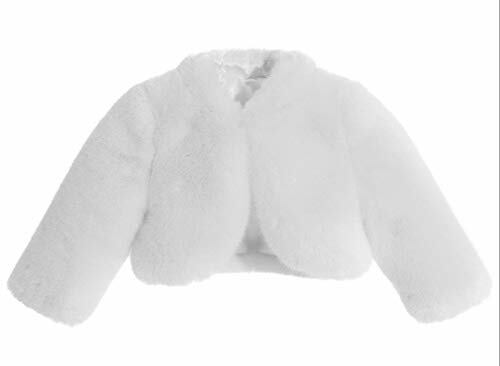 5-6 Years:Bust:26.77".Shoulder:12.99".Length:23.62" 6-7 Years:Bust:28.35".Shoulder:13.39".Length:24.8". 8-9 Years:Bust:29.92".Shoulder:13.78".Length:25.98". 10-11 Years:Bust:31.5".Shoulder:14.17".Length:27.17". 12-13 Years:Bust:33.07".Shoulder:14.57".Length:28.35". 14-15 Years:Bust:34.65".Shoulder:14.96".Length:29.53". 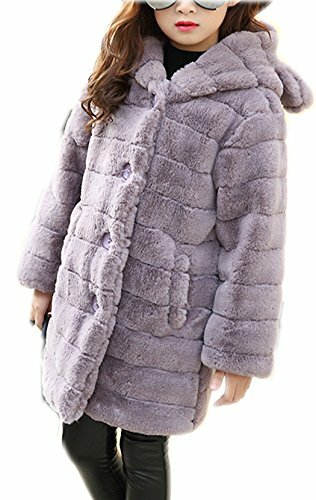 Basic Size Info: 3-4 Years=Tag Size 110, 5-6 Years=Tag Size 120,6-7 Years=Tag Size 130,8-9 Years=Tag Size 140, 10-11 Years=Tag Size 150, 12-13 Years=Tag Size 160,14-15 Years=Tag Size 170. 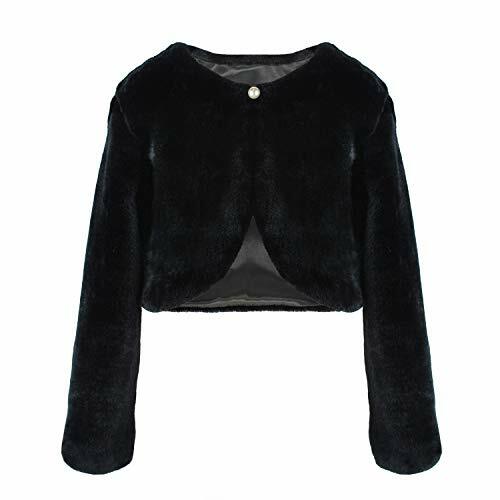 This long sleeves bolero made of satin poly lining fabric and soft faux fur. It will be a perfect accessory to go with any dress!